Most of us have already started switching the heating back on to stay toasty as we move into the colder months, but a lot of people are unaware of the safety risks home heating equipment can bring. We took a look at staying safe around gas boilers, heaters and electric blankets, and where you can go to get further information and advice. The biggest threat presented by a gas boiler is carbon monoxide poisoning. 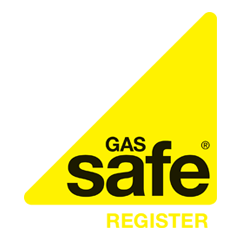 Gas boilers should be serviced yearly by a Gas Safe registered installer to ensure there are no problems or potential dangers with your system. Installing a carbon monoxide alarm could also help to alert you to carbon monoxide in your home, but it should never be used as a substitute to having annual gas safety checks. You can learn more about carbon monoxide poisoning including the signs or symptoms to look out for on the Gas Safe Register website. For those of us without a central heating system, electric heaters (or space heaters) are one of the most popular alternatives – however they do present the risk of fire. The Association of Home Appliance Manufacturers has created a great guide full of tips for staying safe with your portable electric heater. The guide recommends always checking the manufacturer’s instructions before using an electric heater as well as ensuring it is kept away from combustible or flammable materials. One of the best ways to help prevent fires from electric heaters is to ensure they are turned off when not in use – especially when you go out or go to bed. A cost effective way to stay warm, electric blankets have been popular in the UK for many years, but according to the Fire Service, electric blankets account for over 5000 fires a year in the home. To help prevent these fires they recommend always following instructions, along with a series of other tips to ensure you are using your electric blanket correctly. You should also make sure to look out for danger signs including scorch marks, exposed elements or loose connections. Finally, they recommend replacing your electric blanket every 10 years British or European standard blanket (new, not second hand) which features a safety certification mark. Whilst some home heating methods can present dangers, not heating your home could prove just as deadly! According to Public Health England there are 25,000 excess winter deaths in England each year. The elderly are most at risk along with children and those with chronic illnesses. So, what can be done to help prevent these unnecessary deaths? Gov.uk recommends setting a minimum temperature for your home, explaining that ‘we now advise that people heat their homes to at least 18°C (65F), with some additional nuancing of that advice for vulnerable groups and healthy people.’ They also recommend that anyone who may be vulnerable to the cold should dress in multiple layers, consumer regular hot meals and drinks and try and make sure the property is well insulated.